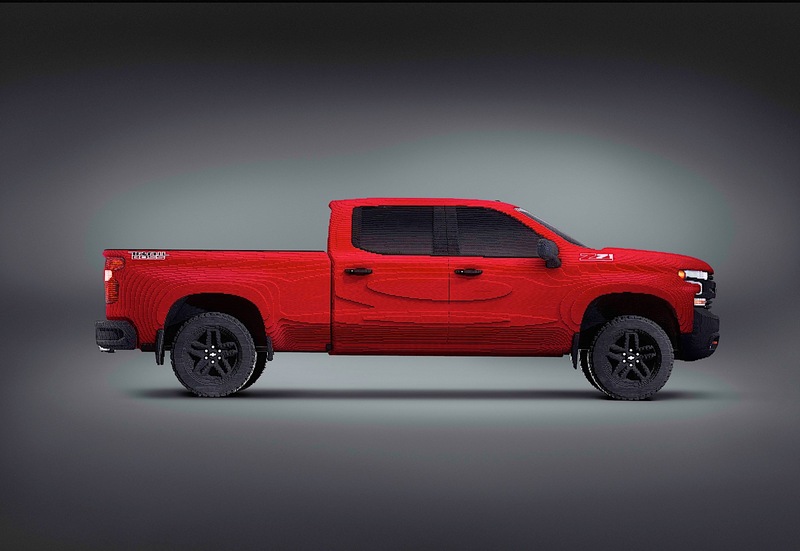 Have you ever looked at the 2019 Chevrolet Silverado 1500 LT Trail Boss and thought, "yes, but what if it was made out of Lego?" Well friends, wonder no more. Debuting at this year's Detroit Auto Show is a full-size Lego reproduction of the new pickup truck from the General. The replica Silverado is constructed from 334,544 bricks that were each hand-selected by a specially trained builder. When assembled, the truck weighs 3,307 pounds. For reference, the base weight of a Silverado crew cab is 5,008 pounds. It took 18 builders over 2,000 hours to assemble the truck, which is longer than it takes for a Silverado to roll down the assembly line in Fort Wayne. The most common component used in the assembly of the model was a red 2x8 stud brick. The truck measures in at 6-feet high, 20-feet long, and 8-feet wide. 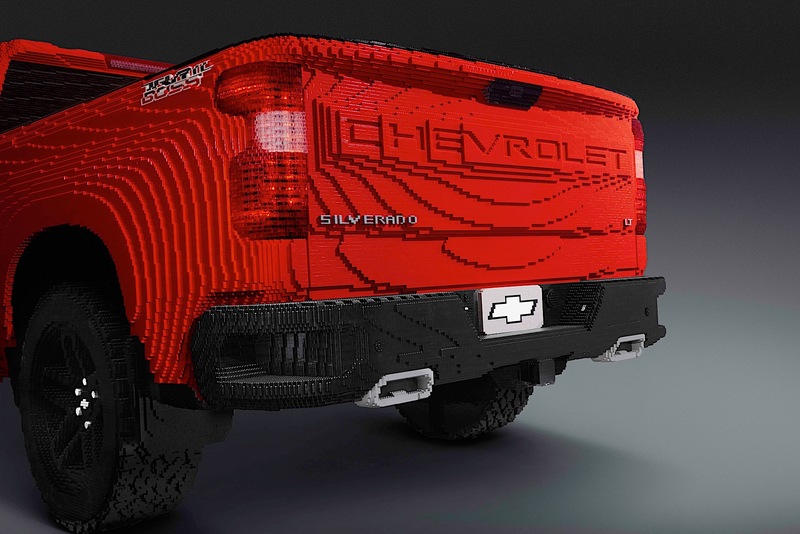 The truck was the creation of Chevrolet and Warner Brothers, who have worked together on a Lego project in the past. The Lego Batmobile carried a Bow Tie. This truck is built to celebrate the next Lego movie, where the gang must save the world from Lego Duplo invaders from space. 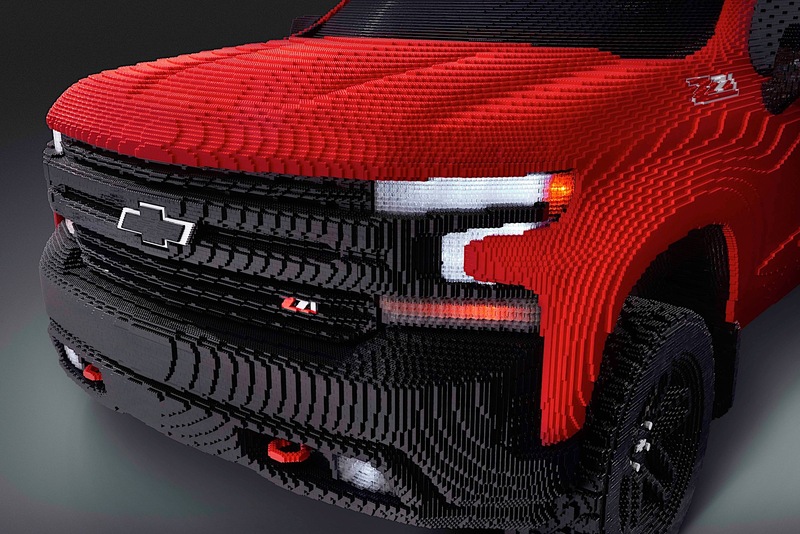 “Chevrolet is once again thrilled to be working with Warner Bros. to integrate the brand and one of our most iconic products—Silverado—into The LEGO Movie 2: The Second Part,” said Sandor Piszar, director of Chevrolet Truck marketing. If you're heading to the North American International Auto Show, you can check it out at the Chevy display. And it shouldn't take 300 hours to build. Lego's Technic line finally shows some love for red-blooded American high performance.